In the U.S. alone more that 38 million people suffer from migraine headaches and CBD oil for headaches is a great way to help deal with this problem. It is estimated that 13 percent of the adult population have migraines. Of that 13 percent 2-3 million of those suffer from chronic migraines. The Mayo Clinic outlines migraine headaches as causing severe throbbing pain or a pulsing sensation, usually on just one side of the head. It’s often accompanied by nausea, vomiting, and extreme sensitivity to light and sound. Traditional pain killers can help alleviate these symptoms but the side effects from them are a concern for most people. CBD oil may now offer a more natural solution to these concerns. Cannabidiol oil has shown some success helping to reduce the intensity and side effects of migraines. Current research is limited due to the fact of the recent legal obstacles regarding anything cannabis related but studies have been showing promise. A 2016 Pharmacotherapy study found out of the 48 people in the study 40 percent reported fewer migraines. 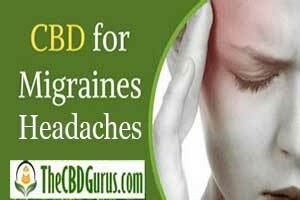 The common thread you can find through this research is that CBD oil seems to improve migraine symptoms for most people overall. 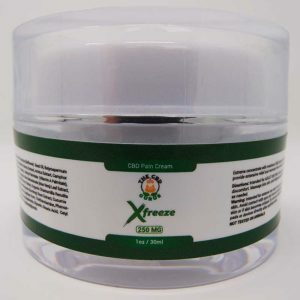 Making CBD oil rise in popularity as a treatment. Another study conducted by Care by Design a medical cannabis industry company based in California. Performed research with the purpose to find out the impact of CBD oil on migraine patients. The results were that CBD oil had drastically reduced the severity of most of their migraine symptoms and even eliminated some entirely. Clearly more research on migraines and CBD oil needs to be conducted but several studies are still ongoing to find more conclusive evidence of cannabidiol oils benefits. With the limited number of studies underway, it will be some time before CBD oil will become a medicinal staple but clearly it has been providing some migraine sufferers with relief.